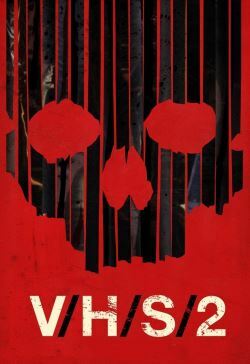 From the demented minds that brought you last year’s V/H/S, comes V/H/S/2, an all-new anthology of dread, madness, and gore. Venture even further down the twisted path blazed by its predecessor, as two private investigators on the search for a missing student, break into his abandoned house and find a column of TVs littered with VHS tapes. The screens crackle and pop endlessly, the static-white noise permeating the brain and fogging concentration. But this is no mere movie night. As the investigators sit down to watch the tapes in search of clues, they are faced with the horrifying motives behind the teens disappearance.